I received a complimentary rewards card to help facilitate my review and thank me for my participation. Listen up food lovers! 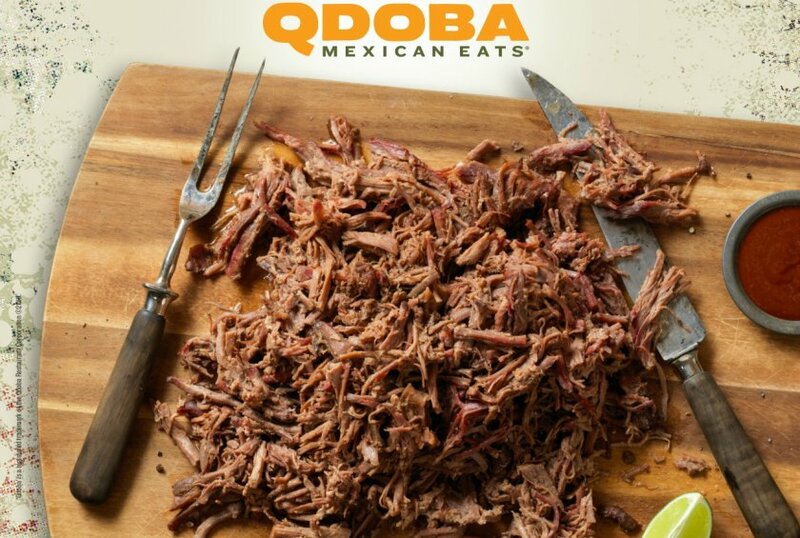 Qdoba will have a new bold, smoky slow-smoked brisket available but only for a limited time. It is going to be so delicious and smoky! This brisket is slow smoked for 4 plus hours over real wood, giving this tender protein its bold flavor. Just think of all the tasty possibilities - burritos, tacos, salads, bowls, nachos, soups and quesadillas! Qdoba will also be featuring the brisket on a new Outlaw Taco filled with slow-smoked brisket, Ancho-chili BBQ, habanero salsa, corn salsa, cilantro, and Cotija on a corn tortilla. "With the introduction of Smoked Brisket, we're bringing even more versatility and flavorful options to out menu," says Keith Guilbault, president of Qdoba. "Smoked brisket and the new Outlaw Knockout Taco symbolize what Qdoba is all about - bold, differentiated combinations of ingredients that deliver adventurous flavors our guests crave." I am so ready to get my brisket fix, how about you? Find your Qdoba location here.